It's About Fun It's About Game Room Billiard Tables! It’s About Fun It’s About Game Room Billiard Tables! Game Room Billiard Tables: You have a choice! Your billiard table doesn’t need to be sleek and exciting. OR DOES IT! Of course, it does. Your game room is your getaway from reality and life is too short to just add a table that says blah. 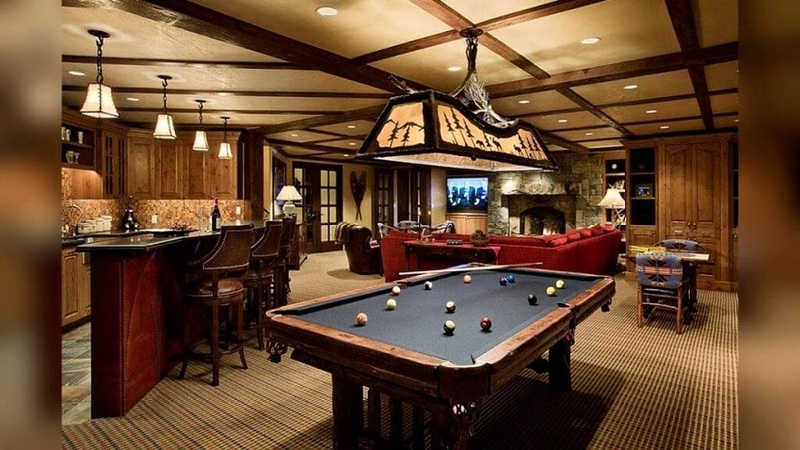 Impress your friends and create a getaway that has them wanting more and it’s all centered around your Game Room Billiard Table! Tables are not just “Tables” and you know that! You’ve played the game long enough to know exactly what you need and probably where to get it. From the color of the felt to table covers (a necessity for a clean table), the slate, table designs and so much more, game room billiard tables are an extension of your fun self! This is not the time to be afraid, this is the time to “Be Informed! On this page, you’ll find out what you need to know about game room billiard tables so that you can choose the exact one that will impress all that have a chance to play a game on it. There are many fun differences in game room billiard tables. From the fabric color to the overall design, each table offers something different and unique. What kind of game room billiard table are you looking for? An official sized one? One with green fabric? Blue fabric? What about the length and height? We cover these billiard tables felt questions and more below. A VERY IMPORTANT thing to consider before buying any game room billiard table is the space available in your home game room. Don’t forget that pool cues can be quite long. If you bump your pool stick into the wall every time you shoot you’ll turn a really fun game into a really not-so-fun game. So always take into account your game room size and billiard table dimensions. This page is separated into the following categories. Lets cut right to the chase. With game room billiard tables you will have four basic lengths. 7 Foot Table which, is considered the bar room size. 8 Foot Table which, is considered the home game room size. 8.5 Foot Table which, is considered the commercial size. 9 Foot Table which, is the tournament size. 3.5 feet -4.5 feet wide. Don’t forget that even though you may have room for a game room billiard table you may not have enough room to play. You need extra space to account for the length of your pool sticks. Otherwise, you’ll end up hitting the walls every time you take a shot. We have a section below that covers the pool table size and how it’ll fit into your game room. Fairly obvious, the larger the pool table the heavier the pool table. Again it will depend on the manufacturer and the materials they use in each table. But to give you an idea of the different weight of each table there is a weight range below. Weight Range: 250 pounds 1100 pounds. Does the weight really matter? That all depends on whether you’ll ever need to move your billiard table or not. If you’ll need to push it out of the way frequently for parties or cleaning or whatever then you’ll want a lighter table. If there is no need to ever move the table then a heavier table would be your table of choice. So what colors do you think of when it comes to a home game room billiard table fabric? Green? Blue? Red? Those are probably the three most popular colors for billiard tables. What you may not have known is that you can special order different colors of fabric for your table. With that option, you can match just about any pool table to your home game room color scheme. Whether it’s your favorite team’s colors or to match your Asian theme room you can match it up. There are many other colors available. If the game room billiard table you want doesn’t come with the color you want then you can always buy your own table fabric and have it changed. Major League Baseball Team Logos. There are various designs of game room billiard tables available. Don’t limit yourself to the basic table until you’ve seen a few different styles. Solid Wood – With solid wood billiard tables you’ll get a very classy look and feel. Basically, you’ll find maple and oak tables with various finishes. A few examples would be Pecan, Cherry and Mahogany Finish. Along with the different finishes, your table will most likely come with hand-carved hardwood pedestals. VERY NICE! Laminate – If you don’t want a solid wood pool tables then you can go with a laminate one. It’ll be cheaper yet still look very nice. There are various laminates available from the different manufacturers. A few examples of laminates would be Garden Oak, Classic Cherry, and Black. Contemporary – If you want something a little different looking and modern then contemporary is what you want. With nice smooth/rounded edges, they’ll fit perfectly into your contemporary home game room. Many of these tables have dual oval shaped pedestals instead of the traditional 4 legs as table supports. With these tables, you also have a choice of laminate, veneer or solid wood. Veneer – Veneer is basically a layer of hardwood over the laminated wood itself. Why choose this style? Basically, you’ll have a table that looks like solid wood but isn’t. Therefore it’ll cost less than a solid hardwood but look just as good. You can get Veneer oak, maple, and cherry with various finishes like American Walnut or Spring Cherry. Most of the Veneer designed tables also come with solid oak or maple hand carved legs. So they really do look very elegant and classy. Now you know the basic designs of billiard tables. Depending on how much money you want to spend and where you’re going to put the table now plays a role in your decision making. There are a few other INTERESTING DESIGNS and we go into a little more detail on those next. Besides the basic “wood” tables above there is another “fun” design. The Black Light Billiard Table! They aren’t seen that much but they are really neat. Black Light Pool Table – Looks just like an ordinary pool table except for some bright yellow and neon colors on the rails and corners. What happens when you turn on your black light? It glows. What exactly glows? The trim, cloth, and balls all glow under a black light. Cosmic Pool Table – Again a black light pool table but this one has more of the “out of this world” color scheme. With all the different neon “black light” colors it would look amazing in any family fun game room. If you’re turning your game room into a themed game room then you have some cool choices. Besides choosing a different fabric color or design you can also find different laminates and solid woods that are themed. Various themes can be found and here are a few examples below. Harley Davidson Themed Tables – Comes in laminate and solid wood designs. Very cool especially if you’re into motorcycles. Harley Davidson logo and colors are on this table. Budweiser Themed Tables – They also come in laminate and solid wood designs. If you love Bud you’ll love these tables. Budweiser colors and logo appear on this table. Nascar Themed Tables – Comes in laminate with the NASCAR logo along with checkered flags and racing cars on it. Jack Daniels Theme Table – This table comes in laminate with the Jack Daniels logo and colors of black and white. Favorite College Team Theme Tables – These tables have a laminate finish with your favorite college team’s colors on it. Also, it’ll have the name and logo of that team on the laminate. Perfect if you have a sports themed game room. Yep, what are they going to think of next? These game room billiard tables are just as good as an indoor table yet made for the outdoors. If you have a deck in your backyard or a cottage then this will be A GOOD ADDITION. They have some decent designs just like indoor tables but there are some key features that you need to look for. Of course, the table won’t be made of wood or it would warp. These tables will most likely be made of aluminum or fiberglass or a combination of both. The table must be water resistant including the cloth and hopefully mildew resistant. Also, it should be UV resistant so its color doesn’t fade in the sunlight. Bumper pool tables come in some interesting shapes and sizes. For the most part, they are not that large. Because of their size, you could fit one almost anywhere in your home game room. They are a little under 5 feet long and 3.5 feet wide. Besides the “normal” looking billiard table styles available to you, bumper pool tables can also be found in 3 in 1 home game tables. A 3 in 1 game table is usually octagon with the top initially being a dining table. If you flip the dining tabletop over it’ll turn into an 8-person poker table. If you take the tabletop off it turns into a bumper pool table. Bumper pool is a very fun game and it will really improve your bank shots if you play it enough. A challenging game that is fun for both family and friends, young and old! Keep reading Billiard Lighting: Great Billiard Rooms Have Great Lighting! There are two factors you need to take into account when deciding which billiard table will fit best into your home game room. One is the size of the table and the other is the size of your pool cue. Because of this, you’ll have various options available. Below is the average room space you’ll need for each game room billiard table. 13’ x 16’ room space needed for a 58” cue. 12’ x 15’ room space needed for a 52” cue. 11’ x 14’ room space needed for a 48” cue. 14’ x 17’ room space needed for a 58” cue. 13’ x 16’ room space needed for a 52” cue. 12’ x 16’ room space needed for a 48” cue. 14’ x 18’ room space needed for a 58” cue. 13’ x 17’ room space needed for a 52” cue. There are other sizes of pool tables available. This is just the basic amount of space you’ll need to be able to play comfortably for each table and cue size. Important questions to ask yourself before buying a pool table. Are the billiard table legs adjustable? You’ll need this feature to keep the table level at all times. Are the pockets made of leather? If not then what material are they made of? Does the table have a ball return? Is there a 4-player scorekeeper on the table itself? Can I select the color of cloth for this table? Are the legs detachable? This comes in handy when moving it to a new home. Do accessories come with the table? Sticks, balls, chalk? Does the table have rail sights? These are used for bank shots. Is a pool table cover included? You always need one of these. People seem to set things on a pool table when not using it. There are many more questions that you may want to ask. But this list will get you started and help you find the right pool table for your home game room.